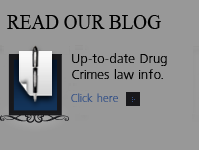 Colorado Parental Drug Use And Child Abuse Charges – 18-6-401 – is a topic that has been gaining more and more attention by Colorado law enforcement in recent years. The use and abuse of drugs or alcohol by the parents or other caregivers of children are well known to have negative effects on the health, safety, and well-being of these children. The presence of children during acts such as those that occur in Colorado domestic violence cases now almost certainly result in the additional charge of child abuse. Of special concern within Colorado’s child protection statutes are provisions that address the complex issue of substance abuse by parents. The twin concerns of the harm caused by direct exposure of the drugs and indirect to illegal drug activity in the homes and of children have led to greater punishments and incarceration rates than the underlying drug offenses themselves. 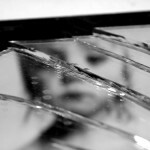 As a Colorado criminal defense lawyer among the alleged child abuse cases that I have defended were Domestic Violence Cases (where a child is present during an act or acts of Domestic Violence), Child Abuse In DUI – DWAI -DUID cases (where a child is present in the car driven by an intoxicated adult)… and Colorado Drug Crime cases (where a child is present where illegal drugs are present and are used by the care givers of these same children). (1.5) An emergency exists and a child is seriously endangered as described in paragraph (a) of subsection (1) of this section whenever the safety or well-being of a child is immediately at issue and there is no other reasonable way to protect the child without removing the child from the child’s home. If such an emergency exists, a child shall be removed from such child’s home and placed in protective custody regardless of whether reasonable efforts to preserve the family have been made. (b) A newborn child, as defined in section 19-1-103 (78.5), who is in a hospital setting shall not be taken into temporary protective custody without an order of the court made pursuant to section 19-3-405 (1), which order includes findings that an emergency situation exists and that the newborn child is seriously endangered as described in paragraph (a) of subsection (1) of this section. A newborn child may be detained in a hospital by a law enforcement officer upon the recommendation of a county department of social services, a physician, a registered nurse, a licensed practical nurse, or a physician’s assistant while an order of the court pursuant to section 19-3-405 (1) is being pursued, but the newborn child must be released if a court order pursuant to section 19-3-405 (1) is denied. (IV) When the newborn child is subject to an environment exposing the newborn child to a laboratory for manufacturing controlled substances as defined in section 18-18-102 (5), C.R.S. (IV) Any case in which a child is subjected to emotional abuse. As used in this subparagraph (IV), “emotional abuse” means an identifiable and substantial impairment of the child’s intellectual or psychological functioning or development or a substantial risk of impairment of the child’s intellectual or psychological functioning or development. (VII) Any case in which a child tests positive at birth for either a schedule I controlled substance, as defined in section 18-18-203, C.R.S., or a schedule II controlled substance, as defined in section 18-18-204, C.R.S., unless the child tests positive for a schedule II controlled substance as a result of the mother’s lawful intake of such substance as prescribed. [HMS – Note that the fact the an accused does not know a child is present is NO DEFENSE]. A person commits child abuse if, in the presence of a child, or on the premises where a child is found or resides, or in a vehicle containing a child, the person knowingly engages in the manufacture or attempted manufacture of a controlled substance, as defined by § 18-18-102(5), or knowingly possesses ephedrine, pseudoephedrine, or phenylpropanolamine, or their salts, isomers, or salts of isomers, with the intent to use the product as an immediate precursor in the manufacture of a controlled substance. It shall be no defense to the crime of child abuse that the defendant did not know that a child was present, a child could be found, a child resided on the premises, or a vehicle contained a child. A parent or lawful guardian of a child or a person having the care or custody of a child who knowingly allows the child to be present or reside at a premises or to be in a vehicle where the parent, guardian, or person having care or custody of the child knows or reasonably should know that another person is engaged in the manufacture or attempted manufacture of methamphetamine commits child abuse. A parent or lawful guardian of a child or a person having the care or custody of a child who knowingly allows the child to be present or reside at a premises or to be in a vehicle where the parent, guardian, or person having care or custody of the child knows or reasonably should know that another person possesses ephedrine, pseudoephedrine, or phenylpropanolamine, or their salts, isomers, or salts of isomers, with the intent to use the product as an immediate precursor in the manufacture of methamphetamine commits child abuse. 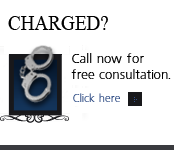 If you are charged with A Colorado crime or you have questions about Drug Crimes and Child Absue Charges, please call our office. 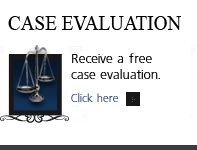 The Law Offices of H. Michael Steinberg, in Denver, Colorado, provide criminal defense clients with effective, efficient, intelligent and strong legal advocacy. We can educate you and help you navigate the stressful and complex legal process related to your criminal defense issue. Colorado Defense Lawyer H. Michael Steinberg provides solid criminal defenses for clients throughout the Front Range of Colorado – including the City and County courts of Adams County, Arapahoe County, City and County of Boulder, City and County of Broomfield, City and County of Denver, Douglas County, El Paso County – Colorado Springs, Gilpin County, Jefferson County, Larimer County, and Weld County,…. and all the other cities and counties of Colorado along the I-25 Corridor… on cases involving ..Colorado Parental – Caregiver Drug Use And Child Abuse Charges -18-6-401.